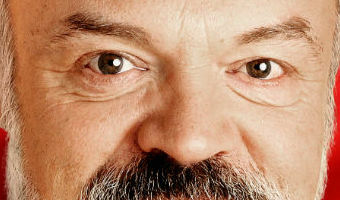 How old is Graham Norton, what’s the Eurovision 2018 commentator’s net worth, is he married and does he really produce his own wine? GRAHAM Norton is a TV legend thanks to his chat show which features A-list guests and of course the red chair challenge. But how did the Irish funnyman make it in the showbiz world and how much is he worth? We've got the lowdown as he returns with his hilarious Eurovision commentary... Who is Graham Norton, how old is he and what is his background? Graham Norton - real name Graham Walker - was born on April 4, 1963, in Dublin, Ireland and grew up in Bandon, County Cork. After studying French and English at University College Cork for two years in the 80s, he dropped out and moved to London to attend the Central School of Speech and Drama. He joined the actor's union Equity and took his great-grandmother's maiden name, Norton, as his stage name because there was already an actor called Graham Walker. The Irish telly host, who's now 54, has won five Bafta TV Awards for The Graham Norton Show, which airs on Friday nights on BBC One. He also presents a radio show on BBC Radio 2 and is … [Read more...] about How old is Graham Norton, what’s the Eurovision 2018 commentator’s net worth, is he married and does he really produce his own wine?